Going away on a trip and getting away from your daily routine can be a great way to escape stress and anxiety. Whether it is getting away for the weekend or taking a week or even several months off, it is probably one of the best medicines. When you travel, you get to visit sites that contain modes of healing. 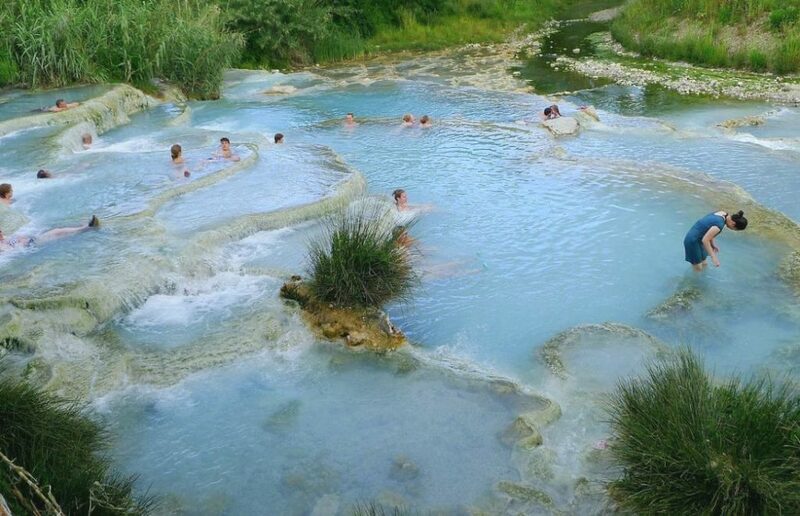 For example, the natural hot springs of Turkey or Costa Rica. Getting immersed in these mineral-rich waters is great for your skin, relieves pain and stress and increases longevity. Anyone who suffers from stress, anxiety or a mental health issue knows it may interfere with one’s creativity. It can cause your brain to be foggy, impede the way you see yourself and get in the way of living. A 2012 study published in the Journal of Personality and Social Psychology found that the more equipped you are at interacting socially and getting comfortable with a new setting, the more creative and successful you’ll be. If you want to fully boost creativity, getting in tune with a new culture is more important than just traveling to a new location. Travelling has the benefit of expanding and changing the way you think, not only of the world but of yourself. It can be scary, entering into a world that is much different than yours. It can even be uncomfortable. If you are traveling in a poor country, it can give you the opportunity to see how others live their lives. It makes you appreciate the life you have or change the way you view your own life. Taking several months to view the world and take in different cultures by placing yourself in a new setting will allow your brain to participate in new experiences. Travelling challenges your daily discomforts in a positive way by escaping settings that cause your brain to be unsettled and by being in a place that could make it relaxed. Try not to travel to the same spots all the time. If you go to different places it will allow you to immerse yourself in new experiences. Getting in tune with the outdoors and nature, like taking long walks on the beach, is a beneficial way to help reduce stress. It’s also a great way to get exercise, by going swimming or even running on the beach. Doing so will boost endorphins that your body needs.